The next Salamander training session has been announced! Join us on Tuesday 19th September to learn how to install our radio controlled fire door technology. The Salamander system is specified to the highest fire safety standard in the UK (BS7273-4 critical actuation or category A). 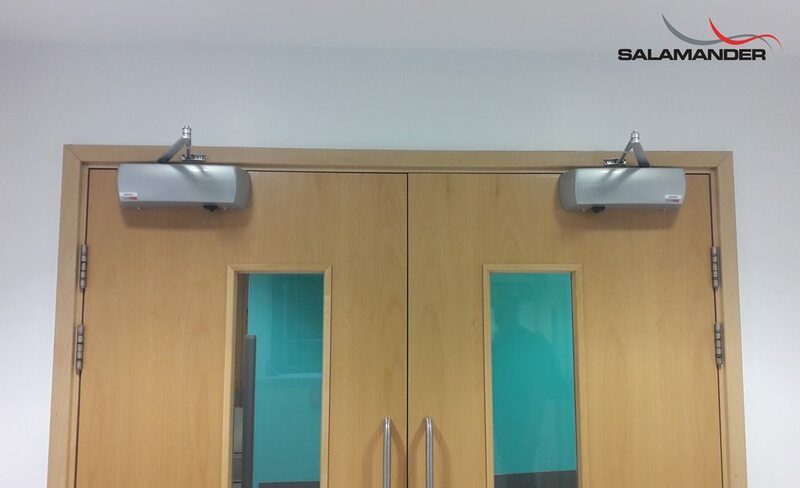 Made up of a central controller connected to the building’s fire panel, the Salamander system includes a wireless fire door holder and a fire door closer. Both products are battery powered and can therefore be retrofitted to any building and integrated into an existing fire panel. If the fire alarm sounds, a signal is sent via radio waves to the devices to automatically close fire doors in the event of a fire. This prevents the spread of smoke and flames throughout the building.